I was just thinking. Last night I attended Atlanta’s Old School Saturday (O.S.S) and had a blast! I had heard about it on a number of occasions, but never attended. So as part of my birthday week, we checked it out and it didn’t disappoint. The D.J. played ever old school jam (80s & 90s) you could think of from Square Biz (Tina Marie) to I Got 5 On It (Luniz). I think we danced for four hours straight! It was hilarious watching people my age bust a move (as we use to say back in the day). Although I thought I would hurt myself laughing when this one dude pulled out some of his MC Hammer moves as if he were in concert! Oh, and I can’t tell you the last time I saw someone do the Smurf and the Pee Wee Herman! I saw it all last night. What are some of your favorite old school jams or old school dances? Maybe this Youtube video can refresh your memory. I was just thinking about how normally when I’m in the mood for a good book, I tend to gravitate to stories by some of my favorite authors – Beverly Jenkins, Brenda Jackson, Francis Ray, Sherri Lewis, and the list goes on. 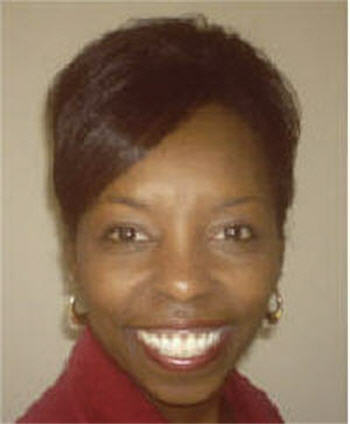 But a couple of months ago Suzanne Brockmann was the guest speaker at Georgia Romance Writers monthly meeting. And unlike many, it was the first time I’d ever heard of her. She captured the audience’s attention (including mines) with her candidness, writing knowledge, and her quick wit – so much so that I immediately went out and picked up one of her books. Since then, I have read probably about five or six of her expertly written novels (mind you, she has over 50!). As a novice writer, I no longer read for just pleasure, but I also read in order to learn the craft of writing (mainly fiction). I remember Brockmann, during her talk, had mentioned that we novice writers have all probably read a book that was just okay – and we immediately ask ourselves “how did they get publish?” or we say something like “if they got published, I shouldn’t have any problem getting published.” But then Brockmann said something, that as a writer, I’ll never forget. She basically said that we shouldn’t write a story with the worse book we’ve read in mind, but we should aim to write a story as good as one of the best books we’ve ever read. Of course I can’t say it as eloquently as she did – but I thought those words were so powerful. I’ve never wanted to get a book publish just to say that I’m published, but I’d rather put the best possible story out there for my readers to thoroughly enjoy. So needless to say, after listening to Brockmann, I’ve been tweaking my latest story in an effort to make it even better. Make it so that when my reader finishes it, the y are still thinking about the characters and leave the reader wanting more. So going back to Suzanne Brockmann. Have you ever read a book that even after you’ve finished it, you’re still thinking about the characters? Or like you feel as if you were a part of the story – right there in the trenches? Brockmann’s attention to detail, intriguing characters and sense of humor make it hard to put her books down! I truly think she has a gift of storytelling and writing…well actually I feel that same way about my favorite authors who I mentioned earlier. The other night during one of my writer’s group meeting, I talked about how even after you finish Brockmann’s book, you still think about the characters, their situation, and you long to read the next story (which often have some of the characters from her previous stories). I’m taken back on how I now gravitate to her books. I’m usually not a big fan of stories with so many characters (and most of hers have easily eight to ten active characters), but she weaves a story so expertly until you become friends with her characters! 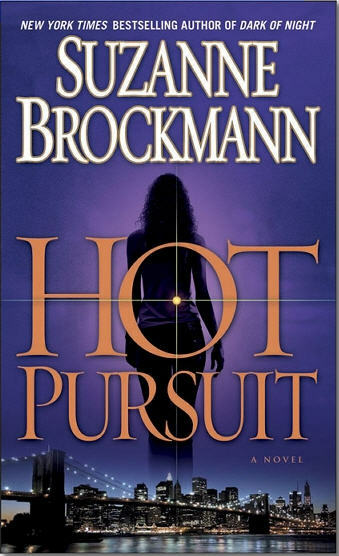 As most know, I’m a huge fan of romance (whether it’s in a book or personally), and Brockmann’s stories are mixed with romance, suspense and plenty of action. Her alpha men, usually military – Marines or Navy Seals – make you want to get to know some of them personally! If you haven’t read any of her books, and want a good fulfilling read, I’d recommend checking her out. Let me hear from you. Who are your favorite authors and why? Have you ever read a book that left you wanting more, or that pulled you into the story to the point of feeling like you were friends with some of the characters?